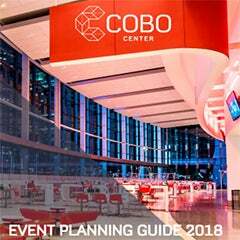 DETROIT – Cobo Center finished its 2012 fiscal year with net income of $2.4 million after originally budgeting for a $500,000 loss, the Detroit Regional Convention Facility Authority announced. 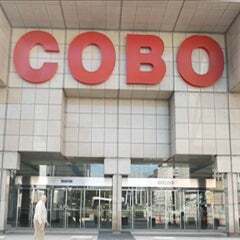 The positive performance occurred in a year when Cobo’s operating subsidy from the state of Michigan declined by $2 million. The center more than offset the loss of those funds with higher-than-expected revenue and lower operating expenses. Total operating expenses for 2012 were $14 million – $2.4 million below the budget and $3.1 million lower than the previous year. The biggest savings came in utility expenses, which were $1.7 million under budget and nearly $2 million lower than the year before. “Energy-saving capital improvements, real-time monitoring of electricity and steam usage, the mild winter and the closing of Cobo Arena were the main reasons for the lower utility expenses,” Bero said. Total operating revenue for the 2012 fiscal year ending Sept. 30 was $21.3 million, which beat the forecast by $439,000. The year before, total operating revenue was $20.3 million – including the state subsidy that was $2 million higher. 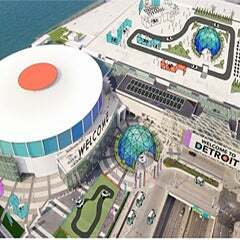 The higher revenue also occurred despite the authority getting no income from Cobo Arena, which was closed all year as it is being converted into a new ballroom and meeting space in connection with a $279 million capital improvement project. Parking revenue also was lower than expected because of the unanticipated closure of the Washington Street Garage for repairs.